Pet Qwerks Nylon Antlers are designed to provide a safe alternative to a natural favorite. Inspired by real Elk and Deer antlers. Eliminate the risks of bone fragments and broken teeth with these durable nylon antlers. It delivers satisfying chewing experience while helping to clean your pup’s teeth and freshening breath. No preservatives or chemicals added. Pet Qwerks Nylon Antlers do not break or splinter. It is generously flavored with liver, chicken or peanut butter and comes in 3 sizes for small, medium and large. Choose the size that best suits your dog. If there are multiple dogs in your household, you should always buy the size suitable for the largest pet. Pet Qwerks Antlers are made from 100% pure Nylon, a material long proven to provide a safe chewing experience. 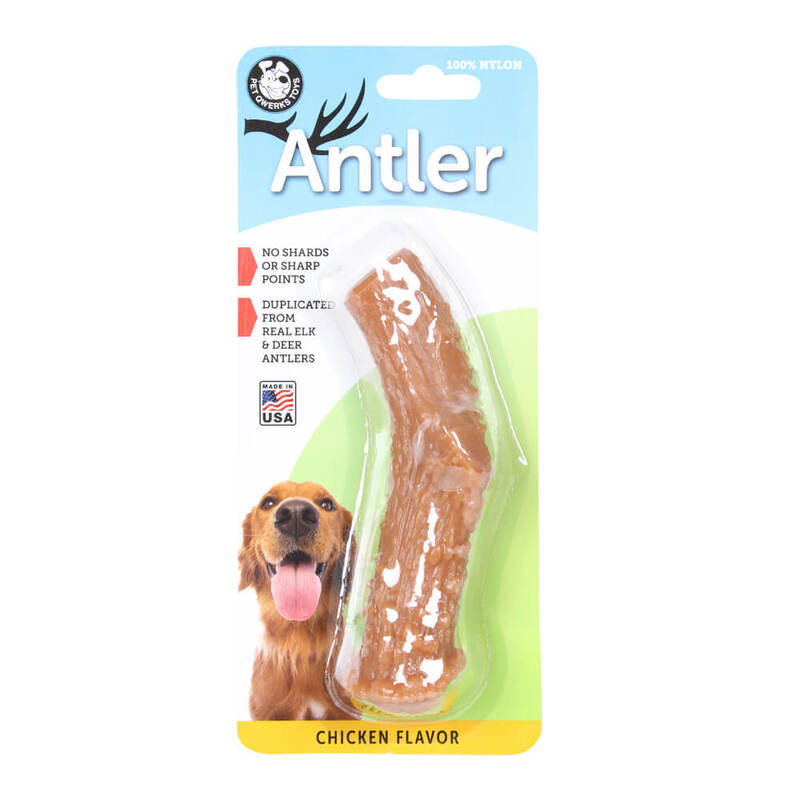 Your dog can now enjoy the antler chewing experience without the shards or sharp points of natural antlers.